Pinewood Derby Car kits will be distributed to all scouts. Fun Cyber Chip Training, Awards, Fundraiser Raffle, and more! As Webelos begin to plan their transition to Boy Scouts, there are several important events. Wednesday, January 10th: Flag Ceremony. This is a Webelos requirement. Webelos who can't attend should let Mr. Dato know. Please RSVP to bsapack227@gmail.com so we know who is planning to attend. Monday, January 29th: Troop 127 Open House. 7pm. Agoura Bible Fellowship. 5564 Foothill Dr. This is for Webelos II and their parents. Hot dog lunch to follow. RSVP required. Please email bsapack227@gmail.com to RSVP. Monday, March 26: New Parent Meeting Troop 127 7pm, Agoura Bible Fellowship. For those Webelos who have decided to join Troop 127. April 27-April 29th: Camporee. For Webelos I and II. June 1-3: Tenderfoot Overnighter with Troop 127. For new scouts in Troop 127. Mark your calendars for this event. It is one of the highlights of the year! All Cub Scouts will be given a kit to build a pinewood derby car. Kits will be distributed in January to allow for plenty of time to perfect your design! 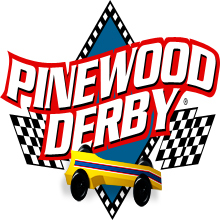 Want to learn more about Pinewood Derby racing? 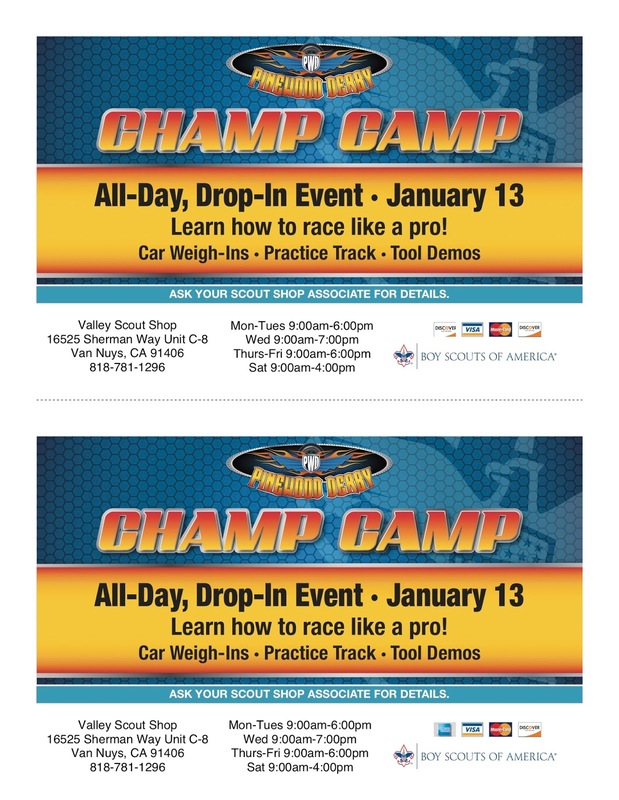 Check out this drop in event sponsored by the Boy Scout Council. Our pack will also hold a Pinewood Derby build clinic. 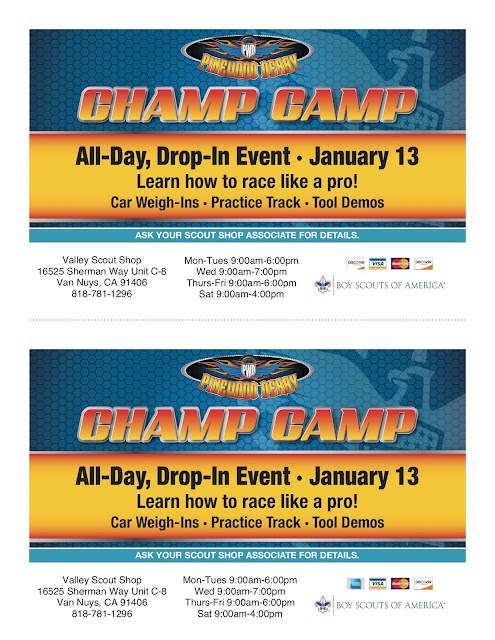 There you will have access to some power tools and advice from other Cub Scout parents to help you build your pinewood derby car. More information about the build clinic will be sent soon.